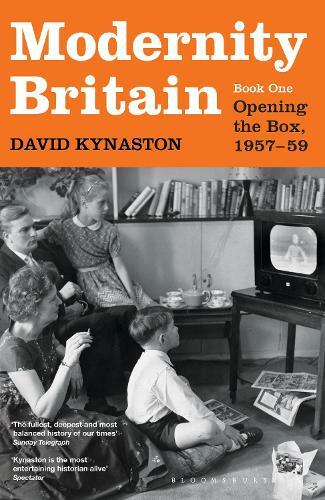 The late 1950s was an action-packed, often dramatic time in which the contours of modern Britain began to take shape. These were the 'never had it so good' years, when the Carry On film series and the TV soap Emergency Ward 10 got going, and films like Room at the Top and plays like A Taste of Honey brought the working class to the centre of the national frame; when the urban skyline began irresistibly to go high-rise; when CND galvanised the progressive middle class; when 'youth' emerged as a cultural force; when the Notting Hill riots made race and immigration an inescapable reality; and when 'meritocracy' became the buzz word of the day. The consequences of this 'modernity' zeitgeist, David Kynaston argues, still affect us today. My partner had read the first two books in this series, and wanted to read the third one. Was well received.